At the 2015 Grey Fox Music Festival Tim and I were able to attend a workshop on The Mountain Music Project with Abigail Washburn, Tara Linhardt, and several Nepali musicians -one who was playing the sarangi. The sarangi is carved from a single piece of wood with goat skin stretched across it. It has 4 strings like a violin and the middle strings are tuned in unison to create a droning sound. 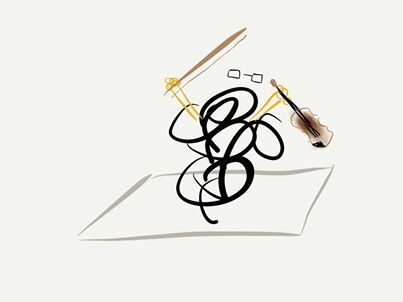 My ears interpreted it as a cross between a violin and a dulcimer. The Mountain Music Project – from Appalachia to Himalaya is effort supported by Tim O’Brien and Abigail Washburn that creates awareness of mountain music in other cultures. It was interesting to learn that the Nepali culture has many songs similar to traditional Appalachian tunes. For example, Honira Salala (Water Flowing Slowly) has a similar melody to Going Across the Sea; Deri Phul Paareko (So Many Eggs) has the same concept as our very popular Cluck Old Hen. Below is a delightful rendition of Cluck Old Hen by The Blackberry Bushes Stringband. Jes Raymond (guitar) takes the vocal lead and the song has fun creative mandolin (Daniel Ullom), banjo (Alex Genova) and fiddle (Jakob Breitbach) breaks. Between 2:30 and 3:00 the band has some complicated timing changes with bassist Forrest Marowitz keeping the groove and then everyone in the band joins vocals for a final a cappella verse. 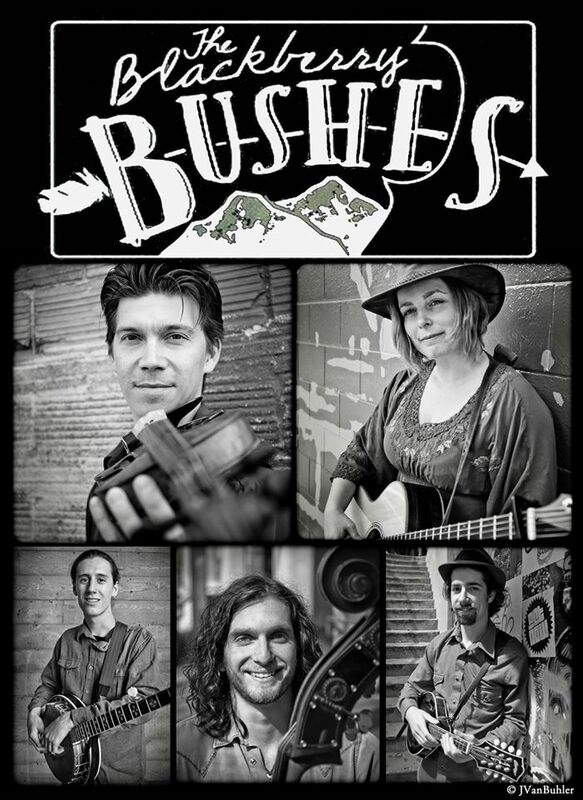 The Blackberry Bushes Stringband will be performing original tunes on Friday, September 25 at Chestnut House Concerts – but we may get them to sing a few traditional tunes like Cluck Old Hen. If you’d like to attend please contact Tim at tlehman9@gmail.com or call/text 7179 409311. Potluck at 6:00 pm, Music at 7:00. Tim and I were able to attend Grey Fox for the first time in 2013. While we appreciated the High Meadow Stage with big names like Tim O’Brien, the Del McCoury Band and the Carolina Chocolate Drops, where we spent most of our time was at the Creekside Stage. Creekside scheduled a few bands each day in their Emerging Artist Showcase sponsored by the Philadelphia Folk Festival and WFDU. Laney Jones and her band played at the Creekside Stage on Friday and although the temperature was in the 90s with high humidity, we all forgot our discomfort as Laney built an immediate rapport with the audience. Laney has an infectious smile and obvious delight in sharing the music she’s written through her banjo, harmonica and vocals. There’s an ease she has on stage that comes from her years of performing musical theater. Laney is currently studying songwriting, voice and American Roots Music at Berklee College of Music in Boston, Ma. We welcome Laney Jones & the Lively Spirits (Matthew Tonner, bass; Jacy Anderson, guitar; and Lars Thorson, fiddle) to Chestnut House Concerts on Friday, February 21, 2014. Potluck at 6 pm, Show at 7 pm. Suggested donations of $15-20 per person. To RSVP, call/text 717-940-9311 or email Tim at tlehman9@gmail.com. This summer we had the privilege of meeting John at the Red Wing Roots Festival in Virginia, and again at Grey Fox in upstate New York. John has an ear for talent and the artists we’ve met through his roster are personable and engaging – and in turn speak very highly of The Americana Agency. 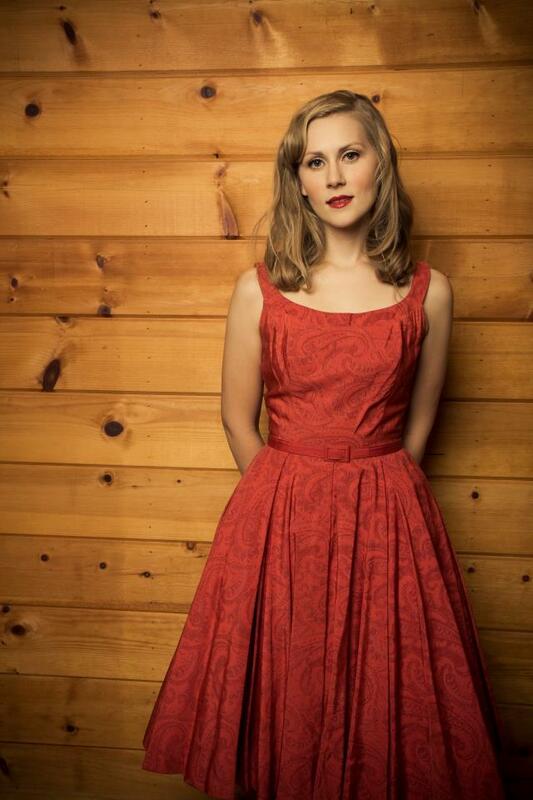 We have two more bands in our 2013-2014 line up that are represented by John’s agency – The Wild Ponies on January 17, 2014 and in one week, we host another artist from The Americana Agency – Nora Jane Struthers. She and multi-instrumentalist Joe Overton will be doing four shows before Christmas starting with Chestnut House Concerts on the 18th and then heading north to New York for the remaining shows. As often happens around the holidays, some audience members have canceled due to schedule conflicts. We have room for about 4 more so if that means you, give us a call, text or email tlehman9@gmail.com to save a seat. The Barn Birds will be touring together again in the fall providing shows in the Northwest and the Northeast in October 2013. For more information about their tour schedule you can visit http://www.chriskokesh.com/performances.html. Mark your calendars for an appearance by The Stray Birds in Lancaster, PA on Friday, October 18, 2013. Series 42 is hosting this fantastic local group at the Elks Club Lodge, 219 N. Duke Street. Ana Egge will be touring with them for this show and a few others including a November 1 performance at World Cafe Live on Walnut Street in Philadelphia. April Verch continues holding a strong tour schedule and will be in Sweden at the end of July and into August. Check out this artist’s rendition of April from fan Steve Jackson – even the plywood was captured in what he calls “zen calligraphy”. The Kruger Brothers are also traveling internationally – headed to their homeland of Switzerland in October and November 2013. Ear to the Ground Music posted a nice review of The Barefoot Movement in June. 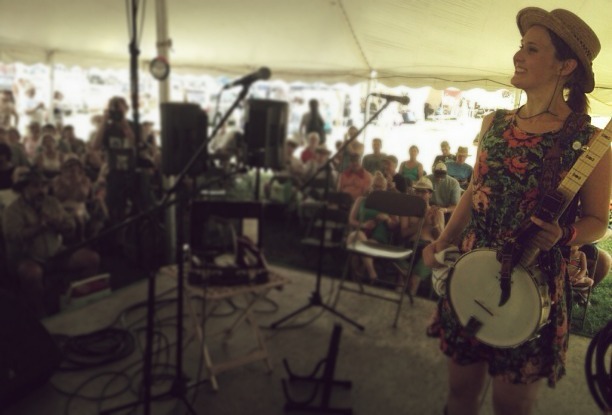 Tania Elizabeth will be busy with The Duhks in the next several weeks as they tour the Northeast including appearances at the Redwing Roots Music Festival, Grey Fox Bluegrass Festival, Green River Festival and the Grassroots Festival. Announcements for our fall schedule at Chestnut House Concerts will be made soon. We hope you all are having a great summer.